For the fourth year, the Gravel and Tar Classic UCI 1.2 event was held over the beautiful roads of the Manawatu region. 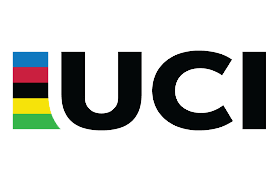 The 130km international elite men’s cycling race with five gravel sectors has cemented it’s reputation as the Oceania region’s hardest single day road race on the UCI Calendar. This year we had 13 teams of six riders compete, including three (overseas) Continental teams, three international trade teams, the NZ National team, and six NZ-based trade teams. The link to the 2019 Gravel and Tar Classic race video can be found here. The race started at Feilding's Manchester Square and finished at Memorial Park in Palmerston North. The course map can be found here. The prize purse was in excess of NZ$15K, including over NZ$9K for general (individual) classification and NZ$6K for teams classification.